Welcome to Human Development Agency Website. Human Development Agency (HDA) was established on Saturday the 11th January, 2003. It is a Non-Governmental Organization of nature Cultural, Economic, Educational and Social, having both man and woman as its members. It was formally registered under the Manipur Societies Registration Act, 1989 (Manipur Act-I of 1990) bearing its Registration No. 53/M/SR/2003, dated the 6th March, 2003. Further, it had been registered under the Foreign Contribution (Regulation) Act, 1976, bearing Registration No. 194130345, dated 6th May, 2009. The guiding principle that provoked to form the HDA was from the exposure to the extreme poverties, livelihood circumstances, quite low human development index and overall fast deteriorating human development situations and circumstances in the state of Manipur. 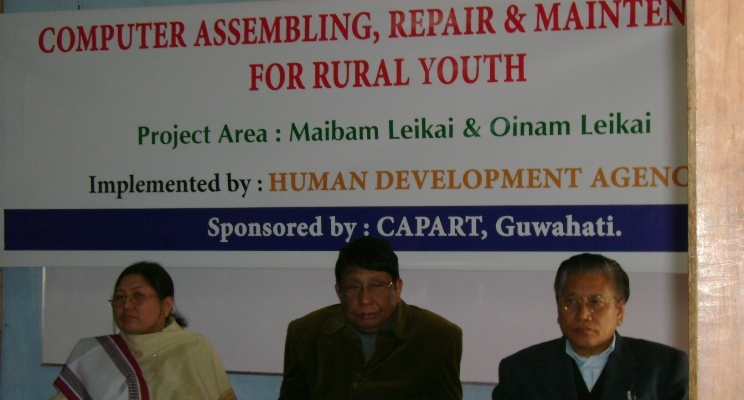 Its activities reached out to some other states in the North East Region of India. It has a policy to reach out to the entire North-Eastern region of India in the coming decade. The HDA is now networking with other State level, Regional level, and National level Organizations and Forums.